"I’ll just send you the money through PayPal, let’s talk offline." Seems pretty innocent, doesn’t it? Unfortunately, requests like these often lead an unsuspecting freelancer to agree to receive payment off the Upwork platform. What may start as an innocuous request is actually a violation of Upwork policies and has some pretty serious ramifications (including getting suspended from the site). “Circumvention” is a term we use for the practice of taking payments off the Upwork site. It’s a harmful practice and we don’t want anyone to fall victim to requests for moving a project off Upwork. Well, we spend a lot of time and energy developing policies and creating systems like Fixed-Price Protection and Hourly Protection because we want to help protect you. We want you, the freelancer, to get paid for the work you do and we want you, the client, to get the work you expect for your investment. 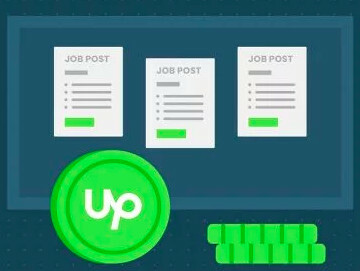 Our visibility and reach only extends as far as the Upwork platform, so when payments and work delivery take place somewhere else, there’s not much we can do to investigate or help shepard both parties to a better place. I mentioned the time and energy we spend creating and refining our policies, payment protection programs and enforcement teams. We also keep an eye out for any red flags in a customer’s activity that might indicate circumvention is taking place. When we see those signals, we’ll act on them. We’ll do this by seeking clarification and/or removing users from the platform directly. Protecting the integrity and experience on Upwork is something we all play a part in. And we appreciate your help. If you’re reading this, chances are you’re a solid citizen. You know it’s in everyone’s best interests to keep projects and payments on Upwork and you’re teaching others the virtues of this as well. We thank you and we ask that you continue doing so. 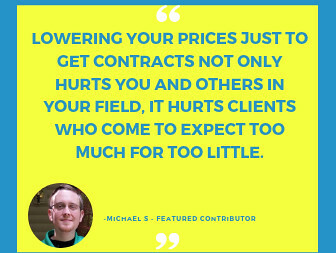 Have you run into any of these situations in the past (a client asking you to take the project/payments offline)? How have you handled it? How have you helped redirect your client, or educate them, on the importance of getting paid on Upwork? What advice do you have to share for a freelancer who might come across a request like this for the first time? I have a similar problem, how I can report it? I wonder if there could be closer monitoring of the proposal system? There have been endless complaints about clients posting jobs and then ignoring them. I know that some of the 'ignoring' is more or less legit - clients find a freelancer on another site, or have simply changed their minds, or are fishing for prices etc. But I have often wondered about the clients who turn one down with "found another freelancer" - no problem there. However, every now and then I have checked, and there are a lot of clients who have sent me this message, but who do not appear to have found a freelancer at all. Again, this could be that the client has found someone else on another site - but it does make one wonder. My feeling is that the less transparency there is on who is who behind a profile whether a client or freelancer, the more prevalent circumvention will be. Edited to add: In spite of the ToS, the number of freelancers (even top rated) who put their contact details in their overwiews and portfolios beggars belief - circumvention for some of them, can only be a short step behind. You may go to the job post and click on "Flag as Inappropriate" or lodge a ticket with the support team, together with screen grabs of your conversation with the client so that the team can take actions against the client's account and job post. I have applied for 3 jobs this week, which from looking at the details appear to be from the same or similar person. They are after a lot of freelancers. I was sent an email to follow directions outside of Upwork, and then the first project I applied to was closed. So, they are quite obviously avoiding the Upwork process. A second one I applied for has just sent me exactly the same instructions as the first one, so they are one and the same. I find a lot of duplication of jobs in the lists I look at and it is frustrating wasting so much time on trying to weed out genuine jobs. While I agree that being vigalent about getting Clients to pay for work through Upwork is a good thing for everyone, there are scenarios where Upwork may not be the reasonable choice for payment. As a Mechanical Engineer, I have physical products made for my clients. On a regular basis I purchase components from vendors, and have parts made at machine shops. If I receive a quote for a part, I pass this along to my client. They then expect that this is the price they will pay for the parts. I am then faced with a payment conflict. If I pay for the work (which is the most efficeint way to make sure parts are made on time), then I can either be reimbursed for that payment at a 10% loss, upcharge my client 10% (plus 2.75%), or get paid directly via check or other electronic transfer. How can Upwork justify taking 10% of the cost of an off the shelf purchase, purely because the freelancer decides to make the purchase instead of the client? I can get "removed" from Upwork for getting paid for this expense outside of the site, but the client could just pay for this themselves directly, outside of Upwork. Leson here, let your clients pay for all physical goods directly themselves. I have answered several job posting or been contacted by the poster. they all say they are in America, they are all out of the country. They offer huge salaries for jobs that don't warrant that type of salary and they are all saying they will pay direct. They want your bank account information. I have had 5 such encounters. Does upwork check on their posters at all? Yes. 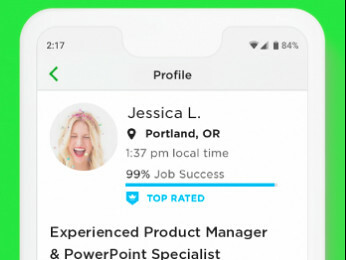 The team takes necessary actions against these job posts and clients especially once they are proven to be a scam, fraud, or violating the Upwork ToS. As I have shared above, please report these jobs posts and/or clients by flagging them as inappropriate, or directly reporting them to customer support with screengrabs of your conversations with them. Avery, can we have commits back that are spent on prospects that turn around and ask for work off platform, get flagged, and have their jobs shut down? If the job posting was cancelled due to a ToS violation, connects you used to apply for it will be returned to you.